At SupportEd, we strongly believe that all English learners, who currently number more than four million students in the United States, bring multiple strengths and talents to their classrooms. The nation’s growing English learner population must be an integral part of policy and practice conversations in education–not an afterthought. To that end, we give educators the tools they need to effectively teach ELs so that this population of students can be positioned for academic success. 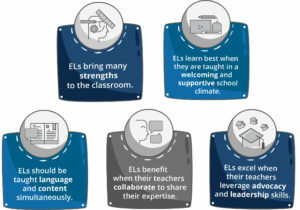 In order for all educators to share in ELs’ academic success, we advocate for ELs by helping them, their families, and their teachers develop their own strong voices in their education. 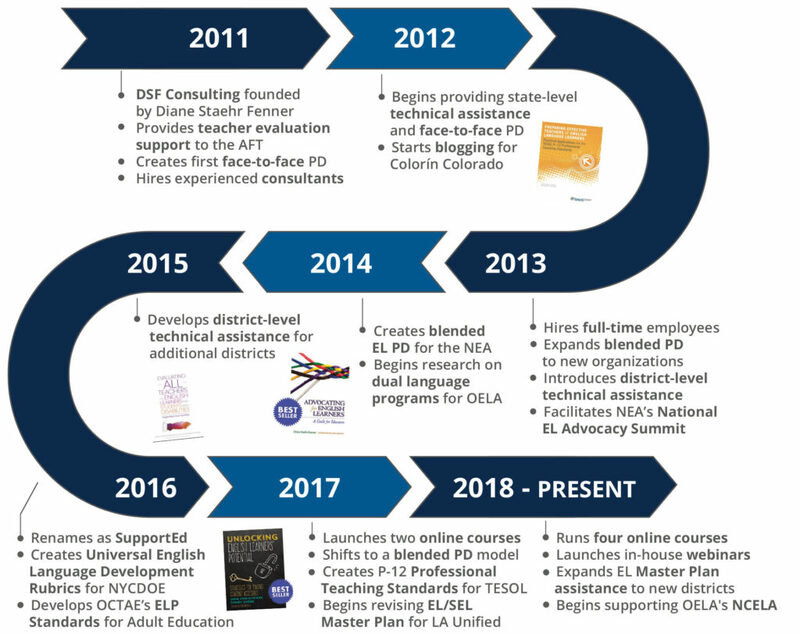 At SupportEd, our team leverages extensive EL teaching, policy, administration, and research experience to provide unmatched expertise to support ELs and their teachers. Founded in 2011, SupportEd is a woman-owned small business based in the Washington, DC area led by Dr. Diane Staehr Fenner. We have successfully worked with districts across the country to design and deliver professional development that meets their specific goals and needs. We have been sought by organizations such as the National Education Association, TESOL International Association, and the New York City Department of Education to create blended professional development, English language development rubrics for formative assessment, and other research-based, practical educational tools. We are committed to being a foundation of support for the EL education community; our logo is a visual representation of that commitment.